No takers on the Dunhill? Fasting and mortification bring us closer to God. You won't regret any of this. My prayers are with you AK Mike. The Dunhill is for me. Dunhill is pending. I can't seem to edit posts. I like the looks of that Altinook but man, you picked the wrong time of year!!! Made it to the local PO at 2305. I got into the unlocked lobby no problem, but the self service shipping kiosk was down. Sorry fellas. 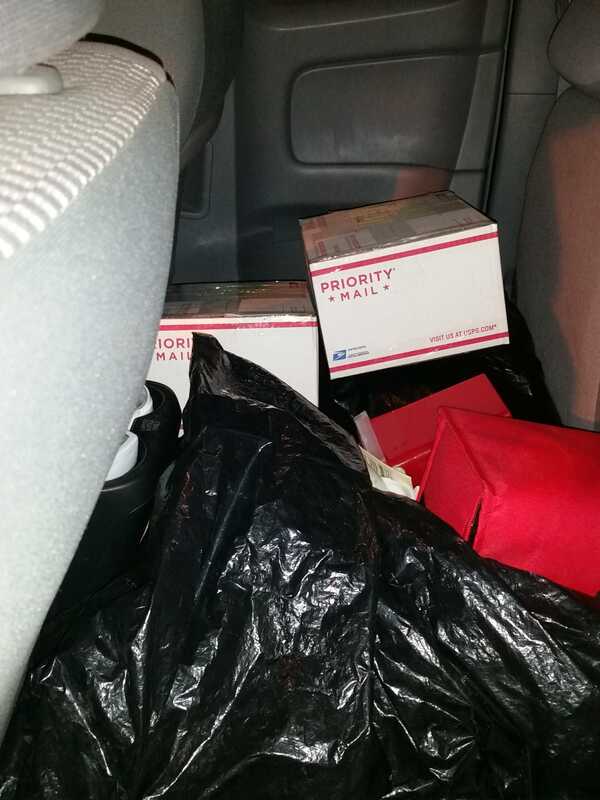 The packed and labeled boxed are in my truck ready to go, Ill PM you guys tracking numbers ASAP. The next time I will be able to pack an outgoing box will be on Saturday, 11-24-18 just saying. I did also find a couple project pipes too nice to throw away. A full bent Servi meer, nice light weight. 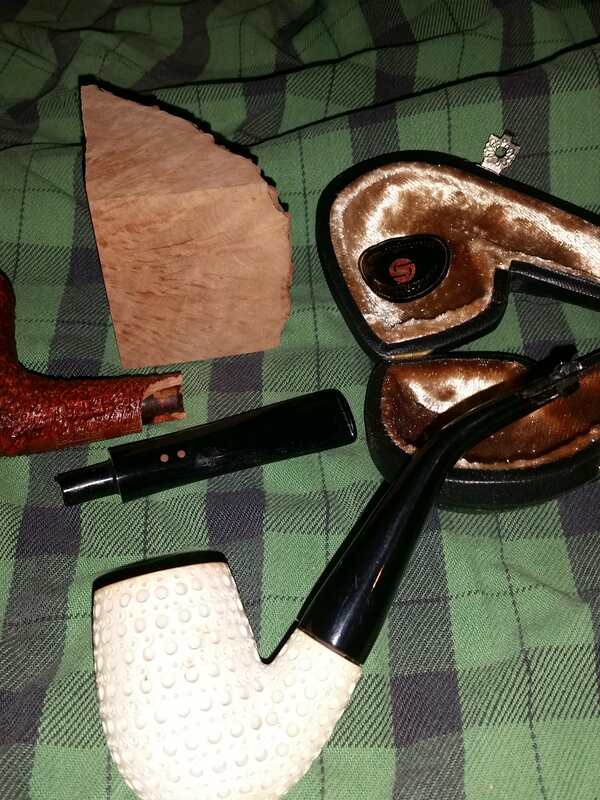 I slipped while I was foolishly shoveling snow with it and bit a chunk out of the bit, needs a new stem but a nice little pipe that hangs well. Also a post 2010 Radice with a chunk out of the stummel (I tapped it out too hard) but a pretty nice stem, and a chunk of briar to go with. The stem would go really well on a cob bowl i think, I was going to do that with it but never got around to it. I would prefer to ship these as gimme pipes to someone who is actually spending money and wants them. If no one wants them as their gimme bonus pipes, jeez, $15.95 for shipping, maybe five or ten bucks for my time? Got my pipe from Mike today. Along with it were some other pipes and a bunch of tobacco. Thanks Mike!